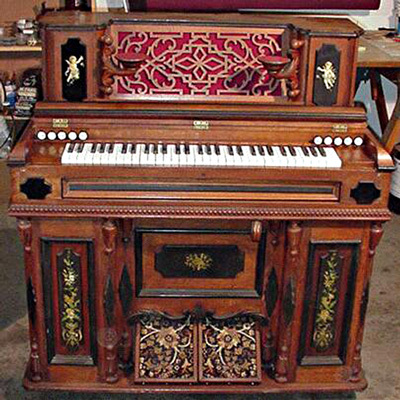 This reed organ from the 1870s needed to have two of its original four cherubs recreated. The instrument itself was being restored by San Francisco reed organ specialist Jim Tyler (The "Reed Organ Man"). The photos tell the whole story.